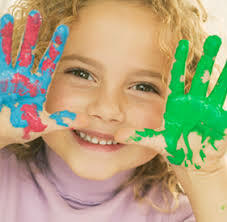 Choice Childcare is a leading child care organization in Sydney. It is owned and operated by Mrs Bala - a dedicated professional with over 30 years of experience in the industry, operating 2 long day centres in Sydney. Choice Childcare is committed to providing a range of early childhood services which demonstrate excellence in the education and care of young children. We work in close conjunction with the families of our children as well as local primary schools to bring out the best in our children and give them the best start in life. We have a strong academic program to give children a headstart when beginning primary school. We are committed to providing quality child care in a stimulating environment which fosters peace of mind for parents. We maintain a mutually supportive and trusting relationship between the Centre, staff and families. We strive to stimulate children's bodies, minds and spirits with a nurturing, homelike environment that engages all five senses for children and best care for families. We establish independence, self-esteem and confidence while fostering learning at a child's own pace. We aim to develop their knowledge and skills and equip them as model citizens.